Let’s get the hotel and Las Vegas issues out of the way: the Riviera is definitely the low-rent district of the strip, kind of a dump, though not really the worst hotel ever. I have empirical survey data on this. I asked at least a dozen people (maybe more) the following: “On a scale of 1 to 10, with 10 being the best hotel you’ve ever stayed in and a 1 being the worst, how would you rate this hotel?” The answer was about a 4– maybe 3.5, though I had one outlier rate it a 7 (grad student). The room was fine (albeit beat up and small), service was good, the wifi was robust, and the conference space was pretty good. But even at this price I doubt I’ll be staying here or at the Circus Circus the next time I come to town on purpose/for fun. The conference hotel/city choice has been a dilema for the CCCCs for as long as I remember. It’s a big conference, but it’s not quite so big as to be able to leverage both a great location and a good rate on conference hotel rooms. So I can understand why people were kind of grumpy about the hotel because it wasn’t nearly as nice as almost anything else on the Las Vegas strip. On the other hand, I can’t remember the last time I’ve been able to afford my own room at the CCCCs conference hotel. So it’s kind of a lose-lose situation for the CCCCs. I am sure they could have had the conference in Las Vegas in a nicer and significantly more expensive hotel, and then people would have complained about it. Instead, they opted to hold the conference in an affordable hotel, and people complained about that. As for Las Vegas: well, so much to say, really. I’ll probably report more on my own adventures with Annette and Will here later– or maybe just on Facebook. But generally speaking, it seems to me few people are neutral on Las Vegas; it’s either “Ooo, Vegas is a lot of fun! Great food and shows and gambling and people watching!” or “Why on earth would anyone go there?” There’s not a whole lot in-between. I enjoy Las Vegas quite a bit, but in modestly low doses– for about three days every five or so years. So sure, I understand “the haters” among the college professor/English teacher crowd. But if the CCCCs is going to be somewhere in the west every three or so years, then Las Vegas strikes me as a pretty good choice. Besides, I am pretty sure a lot of the haters just stayed away entirely this year, and judging from my Facebook and Twitter feeds, a lot of these writing teachers let their hair down and put their birkenstocks aside and went out on the town and had a lovely time. My main conference this year was actually at the ATTW, which I attended in Louisville but I actually presented at it this time around. I saw a panel on visualization that had some good moments and one on posthumanism that was really two different panels because two of the folks– Jim Henry and Byron Hawk– were more or less presenting on the same topic, while the third panelist, Liza Potts, was added on to round out a full panel. Interesting combination, though I would have liked to have asked at some point “for our purposes, what would you define as posthuman?” not because I am unfamiliar with the term but because I am familiar enough with it to know it is a term that is complicated. Of course, part of my problem with the first two sessions is I was “multitasking” and taking advantage of the fine wifi at the conference center. A blessing and a curse since it allowed the likes of me to continue/catch up on some teaching. 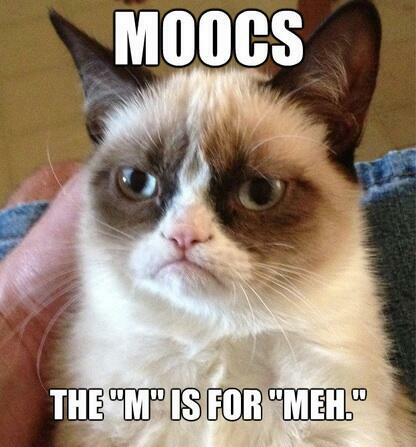 My presentation/panel was a roundtable called “MOOCs in Professional Writing: Could We? Should We?” with Bill Hart-Davidson, Jeff Grabill, and Marcy Bauman– Asao Inoue couldn’t make it. Bill talked about rethinking the way we embrace modes of delivery, Grabill talked about what might be the MOOC model tried by MSU, Bauman talked about a very local alternative she’d like to see happen at Lansing Community College, and I talked about how MOOCs as we currently know them are pretty lame. I thought it was a good roundtable because we were all right in our own ways– that is, if Grabill et al attempt a MOOC, it will be better than what I’ve seen so far and/or be an “interesting failure” (I believe that’s how he put it) and I think I am right in that the hype around MOOCs right now simply does not square with the realities of what they currently are. Anyway, a good conversation. On Wednesday night I went to part of the MA Consortium that John and Derek are leading. Then Thursday I gave/delivered/stood next to my poster for my poster session about iBooks Author. Here’s a link to a web site about that. I actually showed up with a poster, printed on paper and everything, and I guess I didn’t get the memo because everyone else had some kind if experience/web site/whatever projected on a screen. I have mixed feelings about the whole poster thing. It could be a bit more “real” of an event, though I have to say I submitted it after my proposal for a presentation was turned down by the CCCCs this year (and I gave up second-guessing the CCCCs on who gets in and who doesn’t a few years ago, though this year was, IMO, very heavily skewed to first year writing and simultaneously away from technology). Having it actually in the program for the CCCCs and having the event in an accessible location would help with that a great deal. But as it was, I thought it went well in that I did get to talk about my attempts at an iBook with several people and I also continued some side discussions on MOOCs. I attended a nice session done by some current and recently past graduate students called “Constructions of Composition Students as Exigencies for Change: Four Critical Perspectives on Going Public.” That was pretty interesting and they did well. And I did a bit of socializing and a bit of business through the course of the that until we left town. But really, I spent most of Friday and Saturday being a tourist because that’s when Annette and Will showed up. Overall a success, but I am once again reminded of the shifting value of big academic conferences in my career– that is, it’s not the CCCCs, it’s me. When I was a grad student and new faculty member, the CCCCs was important because there was a lot more to learn and because giving a presentation in and of itself constituted scholarship. But at this stage, I need another presentation on my CV like a hole in the head, and while I still learn things and enjoy engaging in the conversations, it’s just not the same as it was. At this stage, I get a lot more out of smaller events like Computers and Writing or even smaller (and free!) events like the WIDE-EMU. Collin G Brooke liked this on Facebook. Wish I had known Byron and Jim were getting that panel together on Posthumanism (since Byron was my co-editor for the TCQ issue on posthumanism and tech comm, and Jim was in the issue–but, alas, I wasn’t in communication with Byron while I was away in Africa). I think I could have deepened the conversation, but glad it was happening, and you were there to add to it.